Holmes Beach is known for beaches, wildlife, spas, adventure, and outdoors. 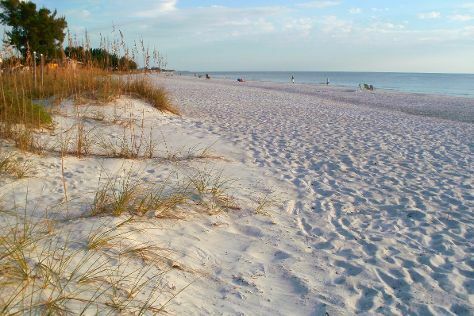 Your plan includes some of its best attractions: kick back and relax at Bradenton Beach, relax and rejuvenate at some of the top local wellness centers, stroll through Manatee Public Beach, and have some family-friendly fun at The Fish Hole Miniature Golf. For photos, ratings, where to stay, and tourist information, refer to the Holmes Beach journey planner . Tampa to Holmes Beach is an approximately 1.5-hour car ride. In April, daily temperatures in Holmes Beach can reach 83°F, while at night they dip to 65°F. You will leave for home on the 13th (Sat).